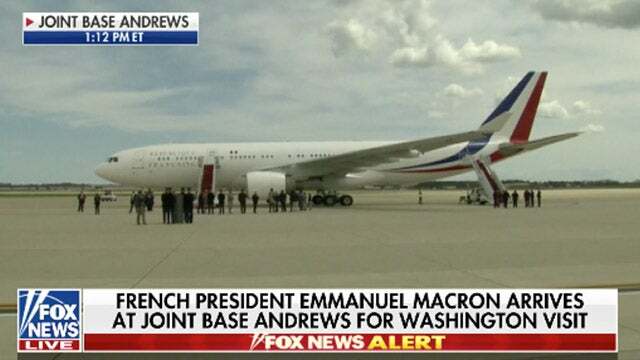 RUSH: Oh, look, the French president has arrived on his little jet. Do you know that — this is great. (interruption) What’s so funny? Well, it is. It looks like an Airbus A310 or A320 or something. It’s not a 747. It’s smaller than Trump’s jet. It’s smaller than Trump’s personal jet. Trump’s personal jet is 757. This is an A320. It’s a nice airplane; don’t misunderstand. At any rate, they’re having dinner tonight at Mount Vernon. Trump is hosting Macaroni at Mount Vernon, the home of George Washington. Folks, if you haven’t been to Mount Vernon, they have rebuilt the — well, not rebuilt it. They’ve refurbished it. They’ve turned it into a gigantic museum. The house is as it was, but there is now a library and film center. 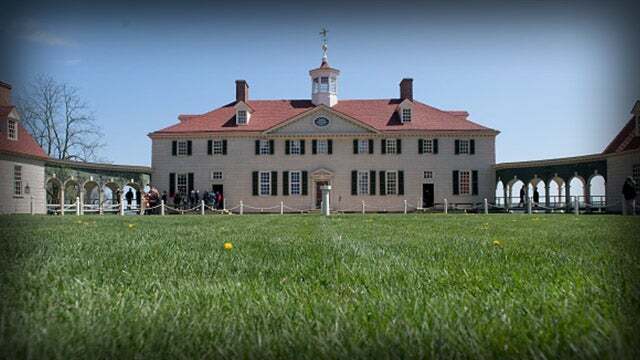 It is really, really worth the trip, spend a day at Mount Vernon. But George Washington hosted many of the French leaders at Mount Vernon who helped in the revolution, who helped in the American Revolutionary War. And this is not just symbolic tonight. I myself, one of the most fascinating dinners I’ve ever attended was at Mount Vernon on the back porch. And it’s a narrow back porch, a very long table. It must have been 30 or 40 of us, and I remember the year, it was 2007, because I was showing everybody my new iPhone. And nobody else had one, and they hadn’t seen one, and they were dazzled. I was able to point on the iPhone, where do you live? And they’d say, “I live in Johnson City, Tennessee. “Let me show you where it is right here on the map,” zeroed in and kept zooming, pinching and zooming, they were dazzled. But it was about 40 or 50 people, and it was part of the museum, it was fundraiser type thing. Great night, outdoors. The porch is covered. You’re right there on the — well, you’re not on the banks of the Potomac, but it’s there, it’s in the distance. And, you know, George Washington is a figure, he’s now maligned in American Media and in American public school history textbooks. But there would be no the United States if it wasn’t for George Washington. There would have been no constitutional republic were it not for George Washington. They offered him and wanted him to be king, and he refused it. And really it’s not a simplification to say that the morality and honor of George Washington, in addition to everything else that he did prior to becoming president, is one of the huge reasons the United States was founded as it was and has survived and did not become a monarchy. They wanted him to become king, a monarch, and he refused it. Anyway, so the French president and Trump are dining there tonight. And of course the official state dinner in the White House is tomorrow night. And I love this. There are no Democrats invited to the state dinner, and there’s no media invited. In other words, the swamp is not invited. And of course you would think that none of them would want to go anyway. Trump is such a reprobate, Trump doesn’t deserve to be hosting state dinners. Trump doesn’t know enough to be hosting state dinners. Trump is an embarrassment, Trump is this, Trump is that why but yet let a state dinner happen, they all think they’re entitled to be there. Media, Democrats. I haven’t seen the guest list. All I know is there aren’t any — maybe if Trump has any Democrats or so forth in his cabinet, but no official elected Democrats, House or Senate have been invited. And no media. And all state dinners have some media there just for the PR of it, but also to bestow upon them that they are official members of the establishment. Being invited to a state dinner, if you’re a media person, is akin to Davos. The thing about Davos that everybody loves is that they set aside class consciousness and so that everybody who goes is a mover and shaker, including the media. The media is afforded attendee status at Davos, the World Economic Forum. State dinners are the same way. And what Trump is saying by not inviting media, you’re not in this league. You have no business being at a state dinner. You people aren’t part of the state. You aren’t part of the functioning here. But every other president has wanted them there to bestow that precise status on them, out of fear. Just like Trump’s not going to the White House Correspondents’ Dinner again. You know what he’s doing that same night? 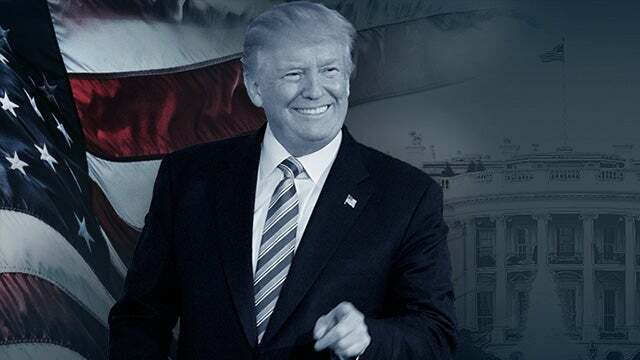 He’s doing a rally in Washington, Michigan. He’s gonna do an old-fashioned Trump campaign rally at Washington, Michigan. Can you imagine the side by side pictures? On the left you have the nerd prom, the White House Correspondents’ Dinner, with all these faux media celebrities decked out in black tie sipping their Chablis and chardonnay, cracking jokes to the usual obscene, left-wing Democrat comedian who is not doing comedy but instead hate. And you’ve got all of this, the pomp and the circumstance and the attempt, you know, politics is show business for the ugly, so that’s the nerd prom. And on the other side of the screen there’s Trump with the people who make the country work. And there will be Trump calling these guys at the nerd prom fake news, giving examples of it, while they are sitting there putting on the Ritz in the massive ballroom at the Washington Hilton hotel. It’s a big deal both nights.